The Old English Sheepdog is a huge bundle of hair that looks more like a polar bear than a dog!! Weighing up to 90 pounds, the Old English Sheepdog (O.E.S.) looks a lot bigger than that due to the thick long coat that the dog wears. The Old English Sheepdog is perhaps the hardest dog to groom and owners must comb and brush the dog for hours each week to maintain that long flowing coat and prevent mattes from forming. Mattes keep the skin damper hence increasing the chances of developing skin diseases. This than means weeks of antibiotics and therapeutic shampoos to get the skin condition under control. The Old English Sheepdog is not an apartment dog. It has boundless amounts of energy and needs large, open spaces to romp around in. It is happiest in a suburban or rural environment. They are not that common anymore but make wonderful family pets. They love being around people and love children. They are perhaps one of the most cuddly dogs around! One nice thing is that they are easy to train. Remember, this is one large dog and tugging on a leash is something that I would not enjoy dealing with so make sure the Old English Sheepdog gets early obedience training. The sooner the better. The Old English Sheepdog has some of the problems associated with large breeds including: bloat, cataracts, cardiomyopathy and hip problems. Rather than particular illnesses, grooming is the biggest chore. A lot of people will shave them down or keep the hair short to make management less time consuming. A great dog. I wonder if it needs a king size bed to sleep in? 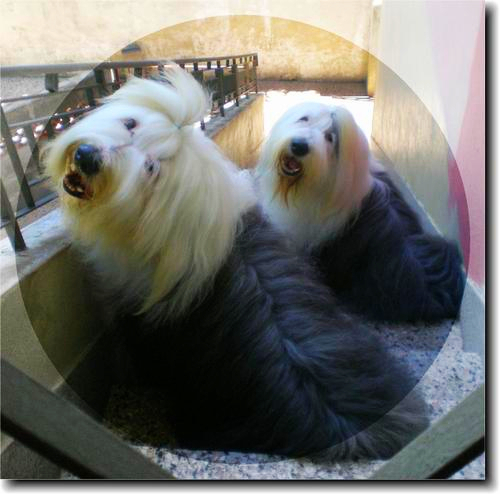 Learn more about the Old English Sheepdog at Animal Planet’s Dog Breed Selector.